Houston’s Home Service Experts Since 1965. Why deal with the headaches (and neck aches!) of repairing your own walls and ceilings when John Moore has licensed pros who can get it done quickly and correctly? They can even match existing wall textures so your repairs will blend right in, like nothing ever happened. Give us a call today! Get $50 off your next Sheetrock repair. Call 713-730-2525 and schedule a Wall & Ceiling Specialist. What impressions do your walls and ceilings leave on guests and members of your household? If you’re a Houston homeowner, chances are that your walls and ceilings are made of drywall. Drywall- also commonly referred to as sheetrock- has been a standard in home construction since the mid 20th century when neighborhoods and communities were rapidly developed across the country. There was a brief stint in the 70s when paneling became a popular option for homeowners, but it never gained the same level of ubiquity as drywall. Drywall is the standard in home construction because it’s relatively low-cost, easy to work with, and extremely adaptable. It can be textured and painted to achieve a range of impressions, and repairing drywall isn’t as big of a hassle as finding and installing panels that match the originals. Although drywall is rigid, it can be dented or penetrated with a moderate amount of force. One of the reasons you may tell your children to stop playing catch in the house is because a ball gone awry can leave a dent in your drywall. Another weakness of drywall is that it can be tricky to install without some prior knowledge and experience. Many homeowners who try to install drywall themselves find it difficult to make their walls look seamless and consistent, which is why drywall installation and repair is best left to the professionals. But drywall’s biggest weakness is how it reacts to water and moisture. When drywall gets wet, it loses its integrity and will start to sag, crack, and fall apart. You’ve probably seen water spots on ceilings or veiny areas of sheetrock on walls that seem brittle to the touch. In Houston, your wall’s biggest threats are indoor humidity and water leaks from potable water pipes. The good news is that both of these threats can be mitigated with John Moore’s whole-home solutions. And if your drywall has already been damaged, we can restore it. If your home’s ceilings and walls are damaged and you want them to make a better impression on guests and the members of your household, we have a solution. John Moore’s drywall specialists have years of experience in properly repairing cracks and holes in drywall, which includes patching, texturing, and painting walls to look like new. And because John Moore is a whole-home service company, we can also provide you with services to ensure your home’s drywall doesn’t get damaged again. For instance, if your drywall has water damage, we will determine where the water came from. If we find that the pipes in your home are leaking, we can do a whole-home repipe. If we find that your home has high levels of humidity, we can offer our sealing and insulation services. John Moore knows that your home is your family’s space to unwind, so we work with you to find the most convenient time for us to repair your drywall. We may also schedule a consultation to assess the drywall damage in your home and learn if you want us to simply patch the drywall or also provide texture and paint. Our drywall repair specialists and any other service workers we send to your home will take special care to cover their shoes and use proper methods to protect your floor, pets, furniture, and other valuables. The first thing we do when repairing drywall is conduct an inspection. If your walls or ceiling are water damaged, we will ask you some questions, run a humidity test, and inspect your home’s potable water system. If we find that a leak or indoor air moisture damaged your drywall, we will recommend solving those problems before we get to work. Because we know that sometimes the need for major solutions like a whole-home repipe can be unexpected we offer 0% down financing options. But if you just want your walls repaired, you are under no obligation to get a repipe. Once we assess the damage and take a few measurements, we get to work. Depending on the size of the damaged area of drywall, we may install a nailer between studs in your wall to provide extra support for the new sheet of drywall so that it won’t sag and leave visible seams when it dries. After that, we tape & float the seams and apply drywall compound to cover the seams of the patch and any holes left by screws. 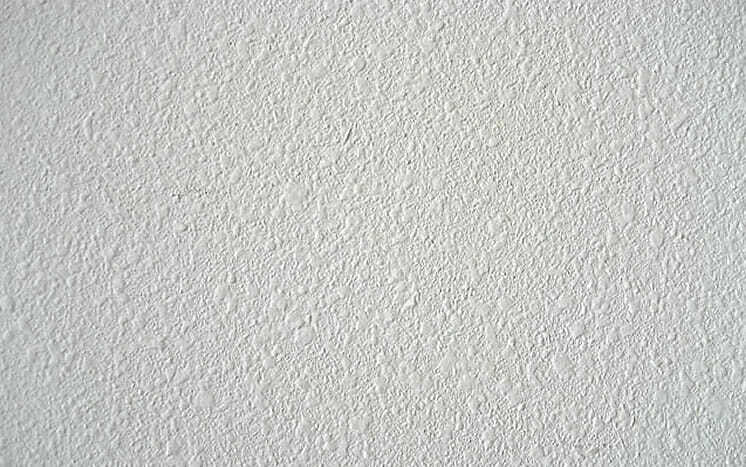 Finally, we texture and paint your drywall to match the ceiling and walls of the rest of your home if requested. Subtle as it may be, you have probably noticed that the walls and ceilings in most homes have a textured surface. This surface may vary from room to room and from home to home. It’s also not uncommon to find different textures in a single room. Oftentimes, the ceiling of a room will have a different texture than its walls to create a distinction between the ceiling and the walls. But why do walls have a texture? How is wall texture achieved? And what are the differences between textures? Let’s find out. Why Do Walls Have Texture? There are several reasons walls may have a texture. First and foremost, a wall’s texture- much like its color- contributes to the overall mood of a room. You may notice that walls that have a more organic texture like a stomp or orange peel feel more comfortable whereas totally smooth or very sharp textures make you feel on edge. Of course, the way a certain texture makes someone feel is subjective and can vary from person to person. Nonetheless, wall and ceiling texture contributes to the overall feeling a room invokes. Although texture has an effect on how a room feels, it also has some practical purposes. For one, texture is used to hide imperfections. Drywall sheets used in home construction are typically 8 feet tall and 4 feet wide, so it can take at least a dozen or more sheets of drywall to cover the walls of a single room and some sheets will need to be cut to a smaller size to fill in any spaces. Because there are so many seams that need to be connected together, even the most experienced drywall installers will encounter imperfections, subtle as they may be. By adding a layer of texture to the wall, any imperfections from the taping and floating process or that develop after the drywall is installed will be more difficult to notice. How Does a Wall Get Textured? There are several reasons walls may have a texture. First and foremost, a wall’s texture- much like its color- contributes to the overall mood of a room. Wall texture is created with drywall compound, an applicator, and some creativity. Depending on the type of texture you’re going for, the applicator and amount of creativity (and patience) may vary. Some textures are achieved by using a simple applicator like a paint brush, but might involve pushing the bristles into the drywall compound for a leaf-like pattern. Other textures may be achieved with a roller or a sponge, but may require a second step like scraping the top layer of the texture off the wall for a plateau effect. Below are pictures of some common textures we apply to the walls of homes. Click on one to see how we create that texture and see if you can guess the application process correctly! To achieve an orange peel texture, drywall compound is sprayed onto a wall or ceiling using a hopper to create a subtle, porous surface like that of an orange (the citrus fruit). To achieve a stomp texture, first ¼ to ½ inch of drywall compound is applied with a roller then a stomp brush is pressed against the compound to create the texture. To achieve a perfectly smooth wall- or no texture at all- the drywall compound must be mixed to a thick, creamy consistency and troweled on the wall in several light coats using a drywall knife. Smooth walls require a lot of skill and patience. To achieve a popcorn texture, drywall compound is mixed to a pancake batter consistency and sprayed onto the wall or ceiling using an air compressor gun. Are texturing and painting included in the cost when John Moore patches drywall? John Moore considers drywall patching, texturing, and painting as three separate services because what homeowners want may vary. For instance, some homeowners may want to repaint their walls themselves. There are also many times we patch drywall under cabinets where there is no need to paint or texture the repaired drywall. If John Moore repairs my drywall on a wall that is painted, can you color-match the new area? No. Unfortunately, because of how certain paints dry and fade over time, it is almost impossible to color match a new patch of wall even if you have the old paint. Our solution to this problem is to repaint the whole wall. If John Moore repairs my drywall on a wall that has wallpaper, can you wallpaper the new area? If you have the old roll of wallpaper, then yes. Unfortunately, a lot of old wallpaper has been discontinued, so it is often difficult for us to acquire the same wallpaper that used to be on the wall. Does John Moore repair or replace damaged paneling? If we can find the same paneling material, then yes. But much like wallpaper, wall paneling isn’t manufactured as much as it used to be, so it may be difficult to find the exact same paneling that was in your home. But we can remove the paneling and replace it with drywall. A repair that includes covering, taping and floating holes and cracks in drywall. A white, mud-like mixture made primarily out of gypsum dust that is mixed with water and applied over tape to connect and smooth the seams of two adjacent sheets of drywall. Joint compound is also commonly used to cover the heads of screws used to fasten drywall patches. A fibrous adhesive tape that is applied to the tapered edges of drywall sheets to hold them in place while joint and drywall compound are applied. Paint that uses synthetic polymers as a binding agent for pigment. Although this paint is referred to as “latex-based”, it does not use the same rubber-latex that triggers allergic reactions in those allergic to latex. For more information about latex-based paint and latex allergies, visit latexallergysources.org. Refers to the thickness and quality of fibers on a brush, roller, or curtain. Paint that uses oil as a binding agent for pigment. Oil-based paints take longer to dry than latex-based paints, but once dry, oil-based paints are typically more durable than their latex based counterparts. Also referred to as Paint Sheen, a paint’s finish is the surface quality of the paint in terms of glossiness and range from flat (no gloss) to high-gloss. Different paint finishes are essentially achieved by adjusting the ratio of pigment to binding agent. Flat – Also referred to as a Matte Finish, paint with a flat finish has the least amount of glossiness or shine. Because it reflect little light, flat finish paint is ideal to hide imperfections and is great to use on highly textured walls. Flat finish paint is more difficult to keep clean, so it may not be the best to use in high traffic areas such as bathrooms or kitchens. Eggshell – Also referred to as a Satin Finish, paint with an eggshell finish has slightly more luster and shine than flat finish paint. Eggshell finish paint also can be cleaned away more easily, usually only requiring a wet rag to wipe off marks and stains. Paint with an eggshell sheen is ideal for most interior applications and is often used for bathrooms, kitchens, game rooms, and kids’ rooms. Semi-Gloss – Although semi-gloss paint is tougher and shows less wear than both eggshell and and flat finish paint, the way it reflects the light of a room can make imperfections more visible. Because semi-gloss paint is easy to clean, however, it is a great choice for high traffic areas such as kids’ rooms, bathrooms, and kitchens. Gloss – Paint with a gloss sheen has a shiny quality to it and is typically reserved for trim and furniture. But if you want rooms that pop for a glamorous look, you can use gloss paint on your walls and cabinets. High-Gloss – High-gloss paint is very durable but shows the most imperfections. Although many homeowners find high-gloss paint too shiny to cover the walls of an entire room, its durability makes it ideal for components of the home that are moved and touched often, such as doors and cabinets. A building material that comprises plaster, wood pulp, and other materials. Also referred to as Drywall, Sheetrock gets it’s name from the hard sheets that form once this material dries. Knockdown – A wall texture consisting of raised “plateau” sections of wall. This effect is achieved by applying several layers of drywall compound and then knocking some layers off with a putty knife. Orange Peel – A wall texture that resembles the skin of an orange, with small pore-like divots and dimples. This wall texture has a soft feel to it, making it a popular choice for today’s homeowners. Popcorn – A wall texture that was popular during the 1980s. Popcorn wall texture consists of different sized raised bumps on the wall. Many homeowners claims that a popcorn texture is more acoustic. Smooth – A wall texture- or more accurately, a lack of texture- achieved with rigorous sanding. Smooth walls, the theory, should have no visible imperfections. But over time, imperfections that may develop on the wall- such as water spots, cracks, and seams coming undone- will be more visible on a smooth wall with no texture to hide them. Stomp – A wall texture that resembles the veins of a leaf. This effect is achieved by pressing a brush into the drywall compound after it has been applied.